Good Sports can help! 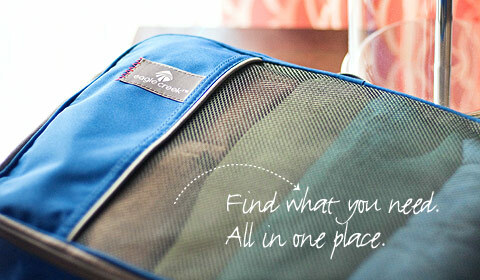 No matter how long or short of a trip you are taking, you shouldn’t pack more than you need. At the same time don’t pack too little. Of course make sure you are packing appropriate clothing for the time of travel. There you are, properly dressed for the beach Jeep joy rides, when you arrive in New Zealand’s rainy season. You will look like a tourist, which is not something to be proud of. I’ve got three Pro-tips to start you off in the right direction for packing efficiently. Doing so with the help of Eagle Creek packing system helps immensely. 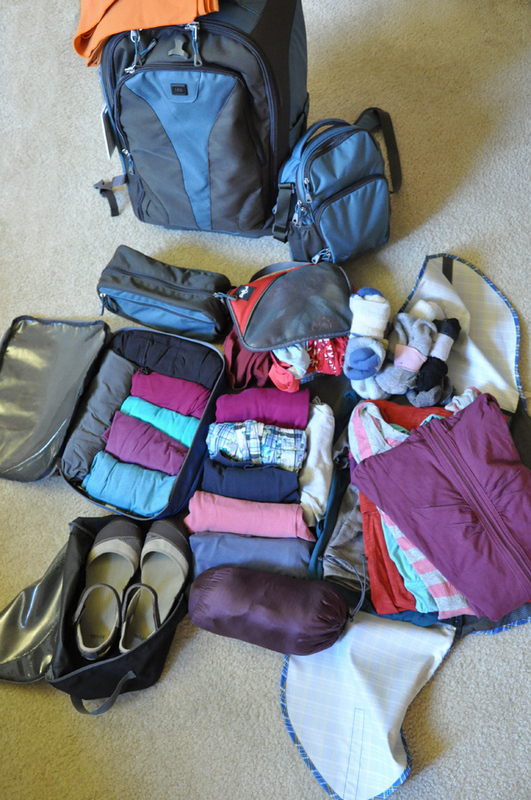 First step of packing efficiently is to understand when, where, and what you are doing on your trip. Going to Oregon in summer is a totally different place than in winter. Know your destination’s seasons. When you have educated yourself on the type of clothing you will be needing, you can begin to filter through your closet for the correct clothing. Begin taking inventory on how much you need to be packing. 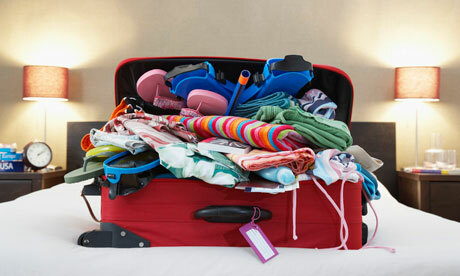 Once you know where you are going you can eliminate a lot of clothing that will not be necessary to pack. Pack items that can be used for more than one thing. For example, bring the sweater you have worn for that romantic dinner that you also have worn as a mid-layer on the ski slopes. Multipurpose garments save space dramatically! They will be your intro drug to packing efficiently. 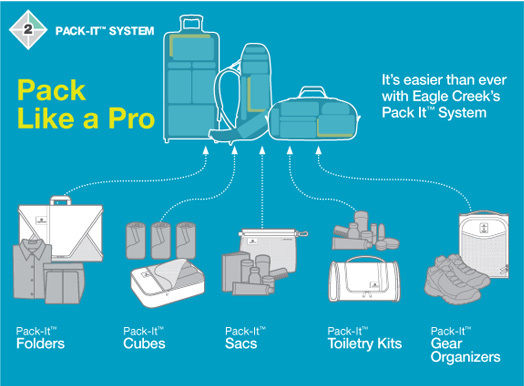 Once you start, you will be so glad you started using Pack-it cubes. First off, I am not the most organized person. I started using the Pack-it system from Eagle Creek somewhere around 7 years ago and I haven’t turned back. It is amazing how much easier it is to find all of your things when using cubes within your luggage. Specifically the Pack-It Specter Folder 15 system allows you to take 15 shirts, fold them wrinkle free, and have them wrapped up nicely into one place. Then you can use the variety of sized pack-it cubes to stash tops in the Green Eagle Creek Specter Cube, bottoms in Orange Specter Sacs , underwear in the White Eagle Creek Specter Cube. Use pack-it cubes! Give it a shot. Try rolling your clothes like sardines into each of your cubes. This will save a lot of space. The wrinkle factor is not as bad as you would think either. Even if you fold a shirt quarterly, it is going to have at least four symmetrical wrinkles. With that in mind, you really can’t avoid wrinkles. The rolling system is the same way. Plus you will be saving about 20% more space by rolling tightly into the Specter Tube Cube, or any Eagle Creek Cube for that matter! Let’s roll! Lastly, If you are going somewhere for more than a week, don’t forget that the rest of the world does laundry too. You can still wash your clothes when abroad. This means you don’t really have to pack for more than a week’s worth of clothing. Safe Travels!